If you are the kind of person who peels grapes and tells kids they are eyeballs right before you eat them, then this is the fruit for you! 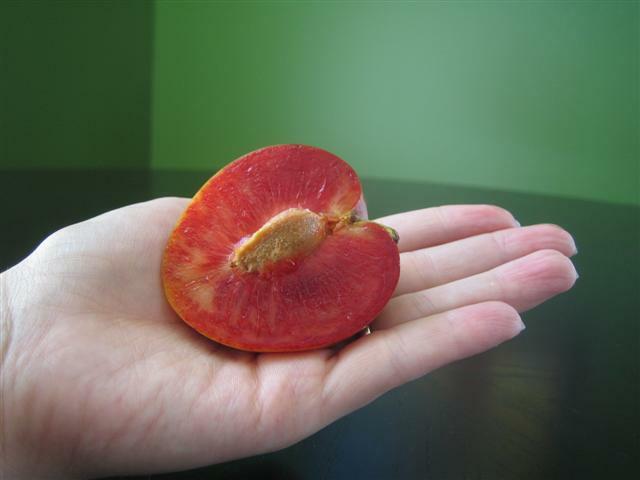 When I first saw this plum I thought it was kind of goofy looking. Being the vain girl that I am, I only noticed the weird browness of it and completely missed the fantastic heartness of it. Then I cut it open and wholy wowzers–I fell in love. October has brought great things to the world, my birthday being one and Halloween being the other. Now I can add dressing up as a witch and carrying one of these around to scare young children. I’ve been dreaming about it all week. mwah ha ha. 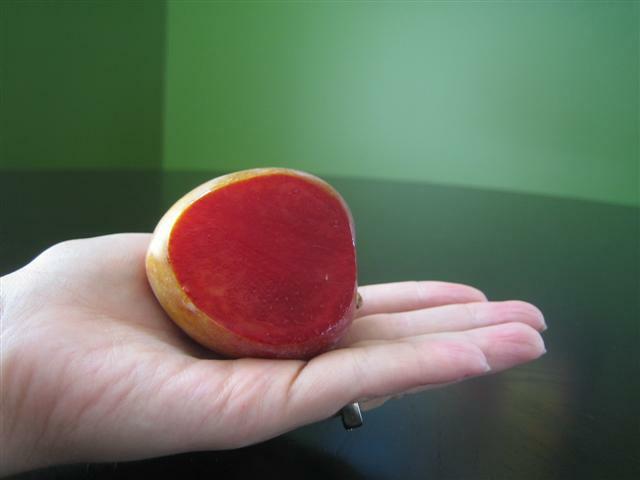 More about the Elephant Heart Plum. More about beloved elephants (whose hearts we do not eat – no we do not). SOOOOO delicious! Firm sweet and slightly crunchy. Amazing flavor. 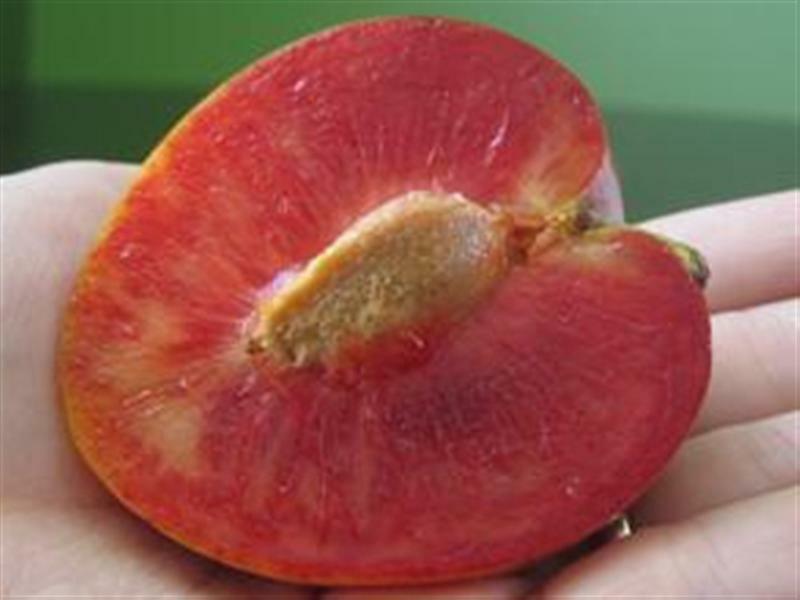 Much better than a regular plum. Kids will smile their way from A to Z. 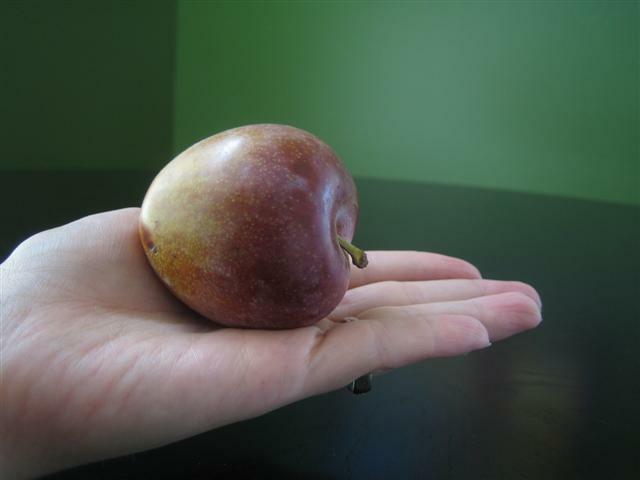 Written by the Fruit Maven.